The first thing everyone needs is good software. If you're just starting out trading the markets, do NOT fork out big bucks for software which promises to make you rich. Only you can make you rich. Under the Software button, you will find links to download the two software packages I have used for many years. If you're experienced and already know the basics, but want to learn about Old Gods, you'll need GT4. But, if all this is new ... download Colin Twiggs' Incredible Charts. It's free. And even if you upgrade later to the premium data, it's still cheap - about the price of a cup of coffee each week. Incredible Charts will allow you to set most of the parameters I talk about in the book - and Colin is constantly upgrading the software. It has enormous advantages over other market software available, especially the ability to save templates, and the ability to create watchlists of indices and individual stocks so you can scroll through a list of them within an open template to see which ones are giving Buy or Sell signals. 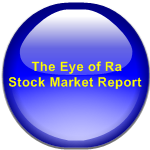 It also has a scan function that will search for stocks meeting predetermined criteria. Now, if you're really new, even "watchlists" and "stock scans" might confuse you. Don't worry about that now. Your knowledge, skill and confidence will grow. What is important right now is not to get scammed right at the outset. Incredible Charts has everything you need - and it's free. It's the best deal on the planet.